Aveeno coupon can be found on HealthyEssentials.ca’s website. This is a printable coupon, so visit the website, add the coupon to your cart and print the coupon directly from your computer. This is a Aveeno coupon to save $2 off any Aveeno Body Wash. Aveeno Daily Moisturizing body wash, use with Aveeno lotions for twice the moisture and softer, smoother skin. Aveeno coupon is valid only in Canada. 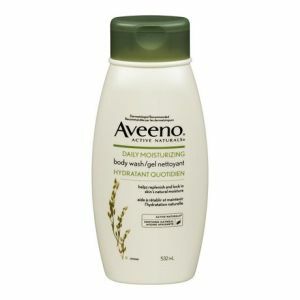 You can find Aveeno body wash products in any store across Canada. Printed coupons can only be used in major supermarkets such as Walmart, Loblaws, Shoppers drug mart, Metro and others. Daily Moisturizing Body Wash, skin hydration starts in the shower and stays with you long after. It replenishes your skin’s moisture barrier with a combination of ACTIVE NATURALS. Colloidal Oatmeal and natural oils, revealing healthier-looking skin. What’s more, this breakthrough formula is soap-free, dye-free and gentle enough for sensitive skin. You can find Aveeno body wash at Walmart for $9.97 and with this coupon you can get the body wash for $7.97.